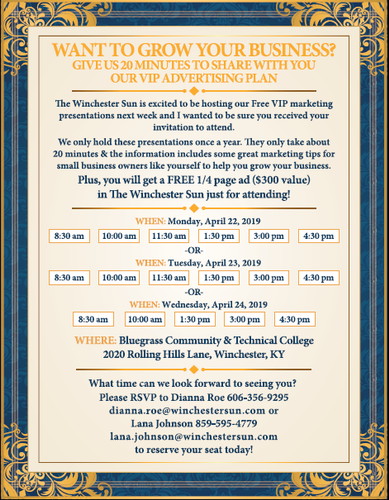 Free VIP Marketing presentation. The presentations are only held once a year. They will only take 20 minutes of your time & the information includes some great marketing tips.